November 10, 2011 to November 19, 2011. 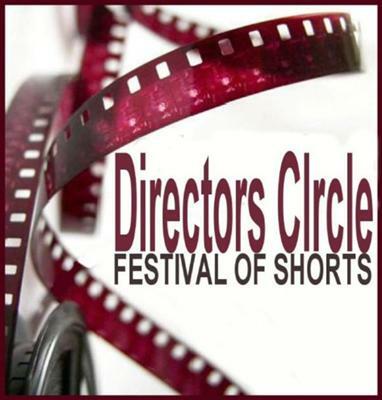 The Directors Circle Festival Of Shorts has officially opened our call for entries and will accept submissions internationally of short length films and feature and short length scripts in any and all genres including documentary, horror, experimental, animation, Religious/Spiritual, Gay/Lesbian and all genre of music videos for our 2011 festival. We will accept all forms of religious, Christian, and spiritual films and scripts including African, African American, Gay/Lesbian, Black, Hispanic, Islamic, Latino, Native/Aboriginal and student films from the United States and around the world. Festival horror categories for scripts and films will include Horror, Thrillers, Science Fiction, Suspense, Grindhouse Horror, Horror Documentary, Horror Animation, and student horror films and scripts. Our Film Festival shall accept music videos from around the world of cross-continent and cross-genre productions. We shall accept music videos of all ranges from pop, punk, rock, alt-country, country-western, folk, reggae, hip-hop to electronica, jazz, blues, Zydeco, industrial, gothic, karaoke, avant-garde, world music, and experimental. Bold visions, adventurous Ideas, Skillfully crafted, Artistically inspired, projects are the kinds of films and scripts we are looking for. The Director's Circle Scriptwriting Competition offers a $500.00 cash award to our first place winner of the 2011 competition among other prizes. The winning script will be forwarded to agents and industry professionals for consideration. ALL competition winners, runners-up, and finalists will earn the chance to have their scripts and films reviewed by established production companies and agents in LA and NY. Our unique film festival reaches new heights internationally for independent film festivals presenting our films in a way unlike any other film festival in the world. Viewing interactively online allows independent filmmakers and fans to take pleasure in the films world wide on the go, from work and from the comfort of their own homes. In the technologically advanced world we live in, where communication and convenience MUST be at the tips of our fingers, we knew this was the next progressive step in film festivals. Since debuting our fest online we have gained even more recognition among the film viewing public and filmmakers, not to mention production houses and distributors because they no longer have to travel to find the next film that will make Hollywood sit up and take notice. Currently, convenience is the name of the game, especially for the independent film industry. Our festival is presented in a video on demand system that will allow users to watch the films while remaining completely safe from download or reproduction. Films in this festival cannot be downloaded, the films HAVE NO EMBEDDING CODE and our HTML code if copied and pasted, the films will not play, therefore they CANNOT be placed on other websites. The only time and place they can be viewed is in our festival. In short, we have gone to great lengths to set this system up to protect the safety and security of each filmmaker's film always keeping the filmmaker in mind. Basically, it is just as secure as a brick and mortar theater screening, only much better. We made the decision to screen films exclusively online because of two reasons, first we understand that filmmakers around the world pour not only all of their time and heart into their work but also most of their money. Because of financial and time constraints independent filmmakers most times find it difficult to attend the screenings of their film. Now not only can the filmmaker attend, but all of their friends and family members can as well. In addition, the number of attendees to the festival is literally limitless giving the filmmaker much more exposure for their work. In addition, you hear so much about the environment and global warming it got us thinking. When you realize how much power is used during the film fest – electricity for the building, natural gas for heat and the gasoline the people use to get to the fest it left one hell of a carbon footprint. By doing the whole festival on line it actually helps cut down on greenhouse gases.